For some reason, I possess only two or three of the books from my own childhood: a couple of well-worn and well-loved Winnie The Pooh hardbacks and – somewhere – a Beatrix Potter. In the loft there’s a box of picture books my children had, but we couldn’t keep everything, and I have a horrible feeling that the paperback chapter books all went to school bookstalls and jumble sales. I keep hoping that there is another box in the far stretches of the loft, but so far it evades us. So I have decided to try and restock the library of my childhood – mostly the fiction I read on my own – and I’m gradually acquiring random E Nesbits and Just William books, Narnia and Noel Streatfeild, Rosemary Sutcliff and Green Knowe. I’ve also picked up a few titles I always meant to read and somehow never did. The only problem will be deciding what to read first. 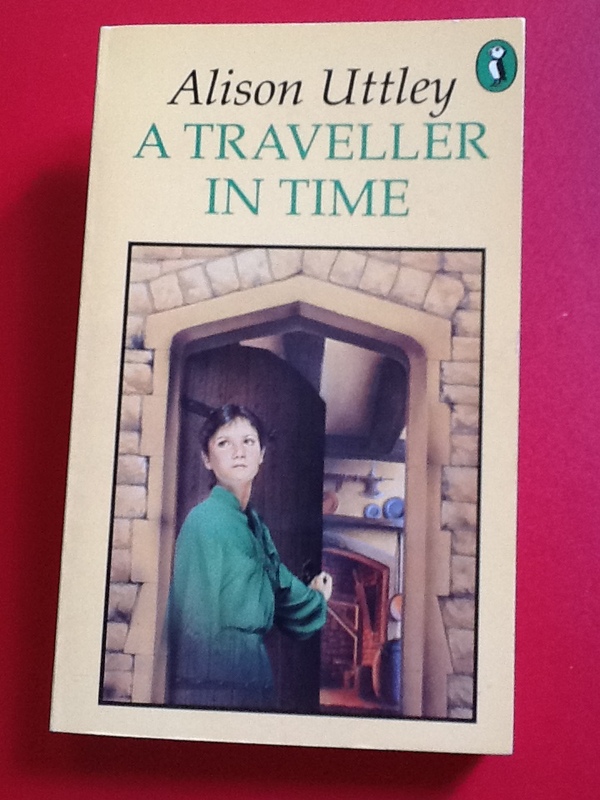 Here is my latest find, A Traveller In Time by Alison Uttley. My best friend read it then lent it to me when we were about 11 or 12, and we both fell in love with its mix of time-slip mystery, genuine history, and the dash of romance along the way.